Nina McGuffog, Tyella Toll, Samantha Casey and Tegan Scott, have had a great 2017/2018 Season - again! The year of the never-ending summer finally draws to a close today, Sunday April 29th, as volunteer surf lifesavers across the state prepare to pull on their red and yellow uniforms for their final patrol of the season. It has been another huge effort from the 21,000 active patrolling New South Wales lifesavers who have dedicated their time to keep beachgoers safe from areas as diverse as Byron Bay to Pambula this season. The above four young ladies epitomise what is great about the surf life saving movement - they have excelled at learning how to keep others safe, have built bonds with fellow members and each other, and have been dedicated in extending their own reach in physical fitness. Their efforts have brought results, in their expanded skill levels and knowledge about surf life saving, and in applying themselves to a strenuous fitness regime, they have have consistently achieved outstanding results over many years, and again brought home medals from the Branch and State carnivals this year: Avalon Beach SLSC's U14 Girls Beach relay team. These four amazing girls: Tegan Scott, Nina McGuffog, Tyella Toll and Sammy Casey have won medals at nearly every carnival for the last four years and repeated this feat with four State medals in consecutive years. With training by beach events coach Darren Cutrie, their hard work and hours of practice have certainly brought dividends. “They are very dedicated – training every Wednesday night Whale Beach.” Darren Cutrie explained this week. 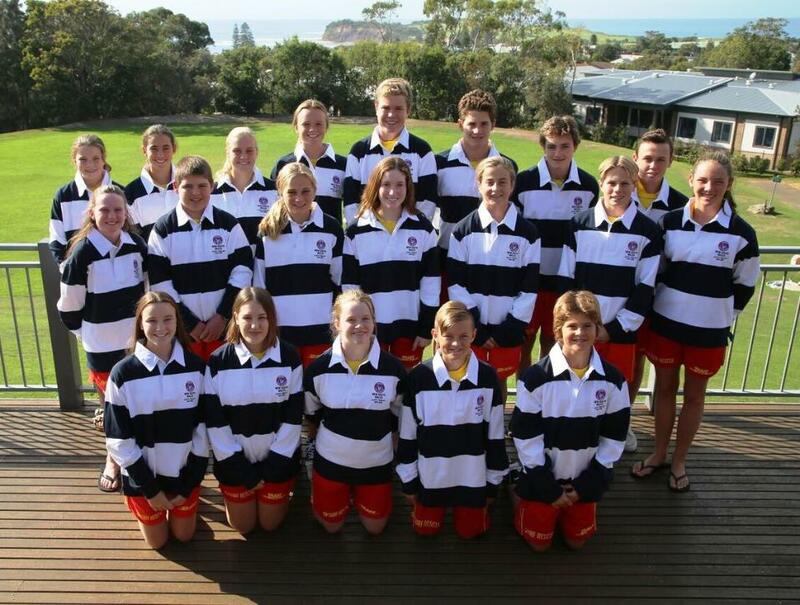 “The girls successfully completed there SRC this year and have been active in Patrolling Avalon Beach this Season. They look to the next years in competing at senior level and passing on their talent in training junior competitors in beach events. 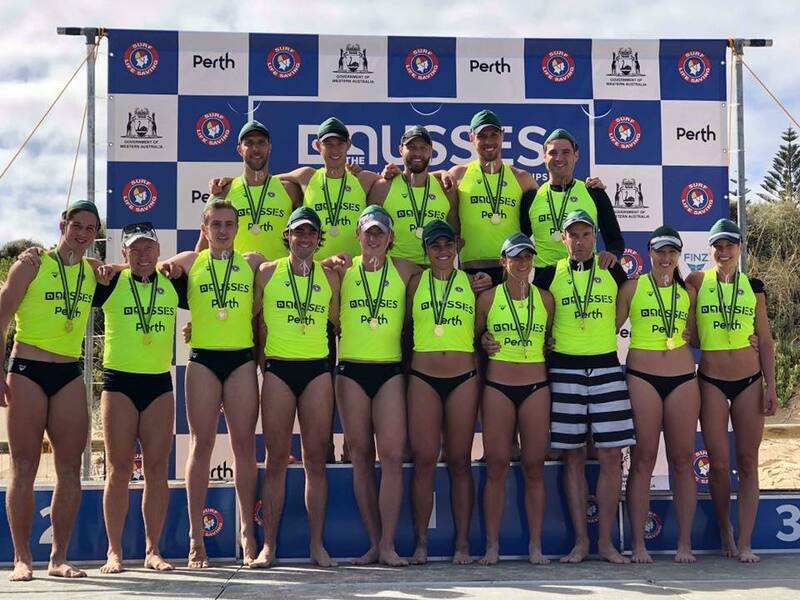 "They are outstanding competitors and role models for our younger Nippers, and we hope that they will continue to represent the Club in the Open competition in years to come. Congratulations girls on an incredible record. The girls and their fellow surf life saving members will now get to enjoy a well-deserved break, although some beaches across the state will continue to be patrolled by council lifeguards, ensuring that there is a presence on the coastline throughout the cooler months. 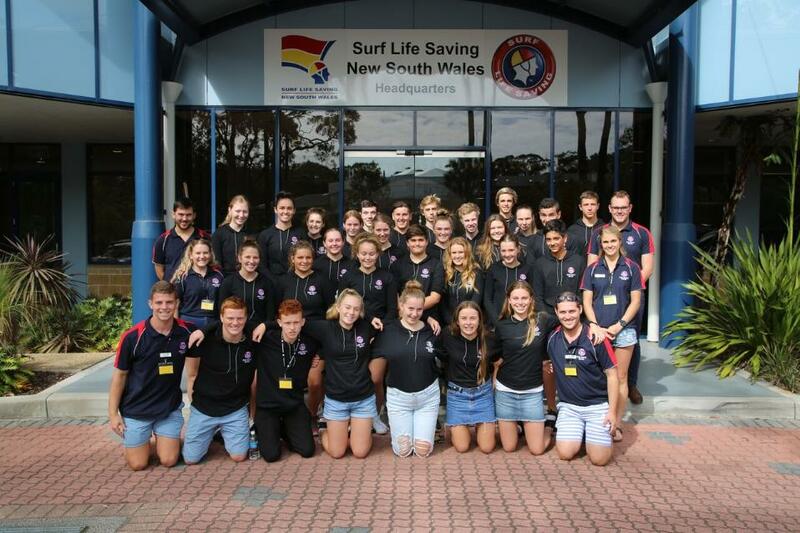 “I would like to take this opportunity to acknowledge the efforts of every single one of our lifesavers who have contributed to the movement this season,” Surf Life Saving NSW CEO Steven Pearce said late this week. “Our members have done a wonderful job over summer under some quite challenging situations, and with it being the final weekend of patrol it’s crucial to reiterate the key safety messages as complacency can potentially lead to some deadly situations. The warm start to Autumn contributed significantly to the workload of volunteer surf lifesavers who have performed more than 5,000 rescues and watched over at least 6 million visitors on NSW beaches since coming on duty last September. Flags will fall on season 2017/18 this Sunday 29 April with volunteer surf lifesavers to return for the new season from late September. 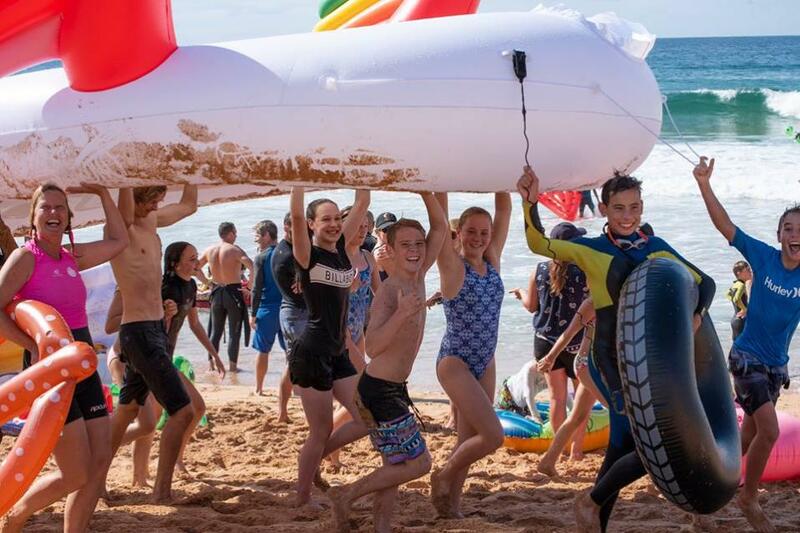 During the off-season many members undertake extra training in associated skills such as First Aid, or get involved in Cadets programs and activities, such as the great one offered through Avalon Beach SLSC. Others will continue a slightly more relaxed fitness routine that complements the knowledge that saves lives on our beaches and produces mentally and physically fit for life Australians through the course of each Season's within club carnivals and those where they meet their peers - those they work beside or will work with when adults. As they all pull off their club caps it offers all who they have served an opportunity to doff their own hats in 'Thank you'. A Garden Party held at Brees Cottage on April 21st, hosted by longterm Mermaids supporter Beverly Wilson, raised close to $2500.00 and set Beryl Driver, Elyse Cole and Viktorija Macdonell on the road to take part in the 2018 Variety, The Children’s Charity, B to B Bash. The Mermaids will be holding their annual Currawong Day on Thursday May 21st with all the usual fun and games and Beryl’s famous sausage rolls – which were also a hit at this year’s garden party. Guests at the Garden Party were entertained by the Celtic By-The-Sea Music Group, and joined in some Celtic ring dancing, had a Maypole, a wonderful afternoon tea in glorious gardens, along with some fun with Lucky Dips. There were Books for sale, assorted Bric-a-Brac and garden cuttings – all to raise funds for Variety The Children’s Charity. 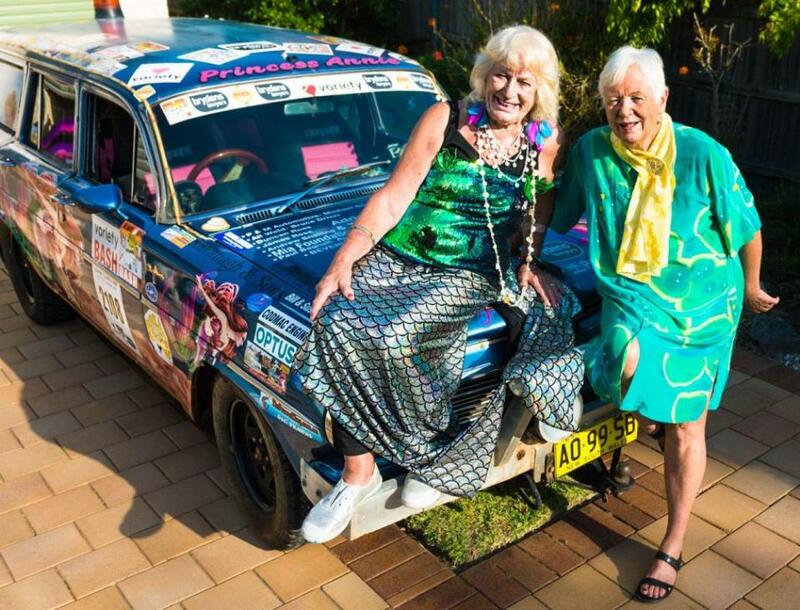 The 2018 B to B Bash will be Beryl’s 20th Australian Variety Bash, which, at 85 years young, is not a bad effort – in fact it’s outstanding. The Mermaids of Palm Beach, a long way from.... Palm Beach! - 2017 B to B Bash. The 2018 Variety Brydens Lawyers B to B Bash will set off from Bonnyrigg for a 10 day adventure, travelling through two States and a Territory before arriving at Braitling, some 4,400 kilometres later!! Along the way Bashers will be supporting rural towns and visiting 11 schools where they’ll see the efforts of their fundraising first-hand, with a range of educational, health and mobility equipment provided to local schools and organisations enroute. Entrants, fondly known as ‘Bashers’, must raise a minimum of $8,500 per car for Variety – the Children’s Charity to enter the Variety B to B Bash. The Bash itself is a celebration of a year’s fundraising to help Aussie kids in need. It’s been a memorable week for two young lifesavers who have capped off their Nipper careers in impressive style by winning the Junior Lifesaver of the Year award (JLOTY) which was announced in Sydney during the Autumn school holidays. Sophie Burns (Elouera SLSC) and Oscar Crowe (MacMasters Beach SLSC) were awarded the prestigious prize after impressing the judging panel during this week’s development program at the Collaroy Learning Centre on Sydney’s Northern Beaches. Both Sophie and Oscar will be honoured in front of the wider movement as part of the annual Surf Life Saving NSW Awards of Excellence ceremony to be held in August. It wasn’t just the program participants who benefited from this development opportunity. 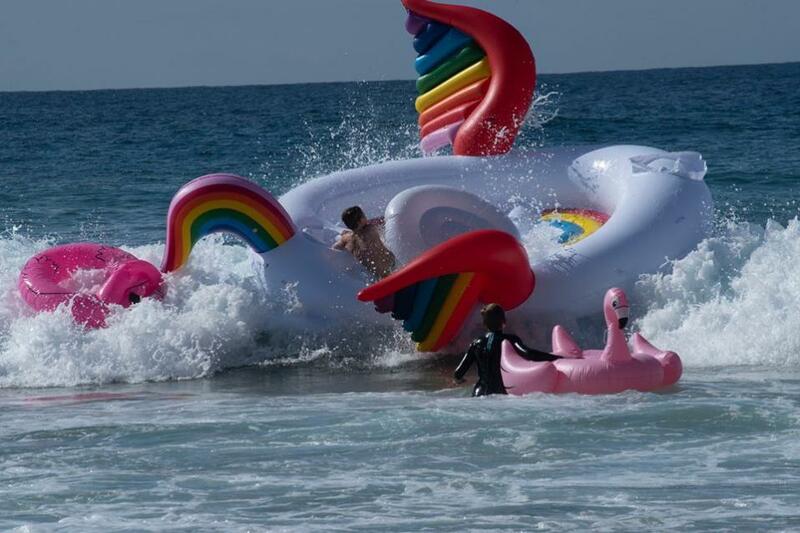 On Sunday April 22nd the members held their annual Inflatable Surf Race which was clearly a big winner for all ages. What a great way to close out the last Sunday before their Patrol Season finishes. Photos by and courtesy Felix, Warriewood SLSC.